Your baby has a fever. What seems to be the problem? Pharmacies are full of children febrifuges all types and shapes: delicious syrups, tablets, suppositories ... But in some cases, medications may be undesirable, if a baby is allergic to them, for instance. Besides, many drugs have serious side effects, moreover, sometimes if the medication has to be repeated, the temperature rises again, making it difficult to avoid an overdose, which is quite dangerous for the baby. Fortunately, there are wonderful ways of non-medical temperature decrease, the efficiency of which is checked for years. The simplest method to get body temperature reduced by a couple degrees is based on a phenomenon of the surface being cooled by moisture evaporating from this surface. Undress your baby and wipe her with a sponge or cloth soaked in water at room temperature (23-25 °C). The sponge should not be either too wet, or too dry: while sponging-down make sure to moisturize baby’s skin leaving on it droplets of moisture. Use only clean water. No doubt, that alcohol or vinegar if added in water, make evaporation go faster. But don't forget you baby will be breathing alcohol or vinegar vapors. You’ll face the risk of burning delicate baby’s skin, if put too much alcohol in water. And most importantly: water mixed with vinegar or alcohol is sure to soak into the skin pores, which is a straight way to intoxicate the tiny organism. In addition, do not use cool water – your baby feeling unwell will be quite displeased with any water below room temperature. This is important! Take a pair of socks, soak them in cold water, wring out thoroughly and put on the legs of the child. Put atop another pair of socks, this time - dry. When the socks get warm (15-20 minutes later), you can repeat the procedure. Wrapping a baby in a sheet is another variant of this method. To do this, get a sheet soaked in cool (not very cold!) water and wrap a child with it. Put atop another sheet, which is dry. Then use a dry towel and a blanket. Keep the baby inside the "cocoon" for about an hour. During this time the temperature is approaching normal marks, and the sheets are getting completely dry. As in the first method, use only clean water, without alcohol or vinegar. This is important! Ice is a wonderful assistant in fighting high temperature; the main thing is using it wisely. For this purpose put crushed ice fill in plastic bags and apply to areas where are located large vessels, namely in the armpits, in the popliteal fossa, in the inguinal folds. It is necessary to layer a folded waffle towel or a linen napkin between the ice and the skin to achieve a pleasant cooling effect. Duration: no more than five minutes, if necessary, repeat in a quarter of an hour. This method is not recommended for newborn babies, as their thermoregulation system is not fully formed yet. The enema is a double-purposed tool: it contributes both to temperature decrease and to cleansing the body. It is universally known that having a fever, the body actively gets rid of cellular debris through different ways, including the intestines. Water for such an enema should be cool ranging from 15 to 20 °C. Colder water can lead to shock, while a warmer enema will be ineffective. children over 6 years 500 ml. Not all of the above methods are suitable if the child has a heart defect or is prone to seizures. Contraindications also include the temperature rise followed by a vascular spasm, a phenomenon called “cold hyperthermia”. It is manifested in shivering, the baby’s hands and feet are cold, and the skin is pale as marble. In this case, the rubdown will only aggravate the situation. It is important! Many fruits and plants contain substances that contribute to the temperature decrease. One of these substances is salicylic acid, a component of many febrifuges. Dried plums and citruses as well as currant, cherry and strawberry are rich in this substance - it is recommended to eat these fruits and berries in any form ( jam, fruit drink, compote, fresh) to decrease the temperature. In addition, many plants have a pronounced sudorific effect, and profuse sweating contributes to the evaporation and allows the body to return its normal temperature. Lime blossom, raspberry, birch buds, oregano have sweating effect. You can add herbs to ordinary tea or make a herbal infusion in a thermos. I would like to underline that honey has both antipyretic, and sudorific effect, it is an effective tool to fight bacteria and viruses and to strengthen the immunity. Some fruit and honey can cause allergic reactions. If you have never given your child strawberries and raspberries before the illness, you should not try them now! Attention! Cabbage cures many conditions. 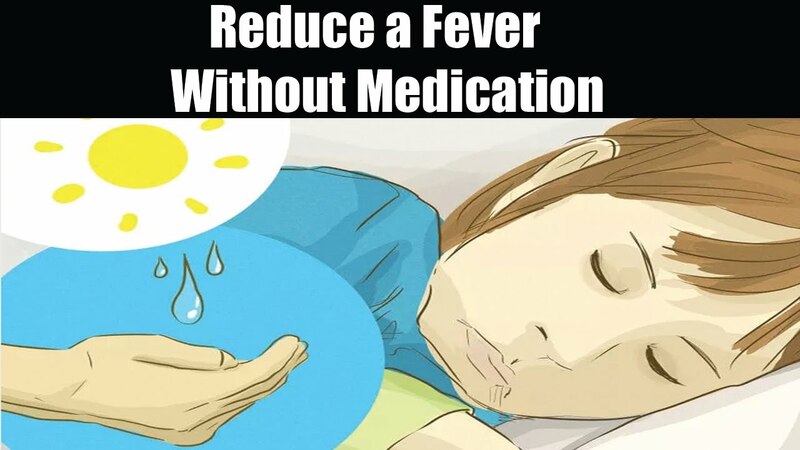 It is a perfect means to reduce fever. Moreover, the cabbage is harmless and does not cause allergies, thanks to this it can be used to lower the temperature in newborns. For this purpose put a cool cabbage leaf on the head of the baby and cover it with a cap or a hat. After a couple of hours change the leaf (it may wither by this time). The temperature reducing means described in this article cannot be used separately without proper medical assistance. Be sure to call your doctor. Before the doctor’s visit it’s not recommended to take any medications, but you can ease your baby’s condition using these methods. In addition, most doctors have a positive attitude to non-drug methods of fever management, and often advise them as a full or partial alternative to conventional antipyretics. 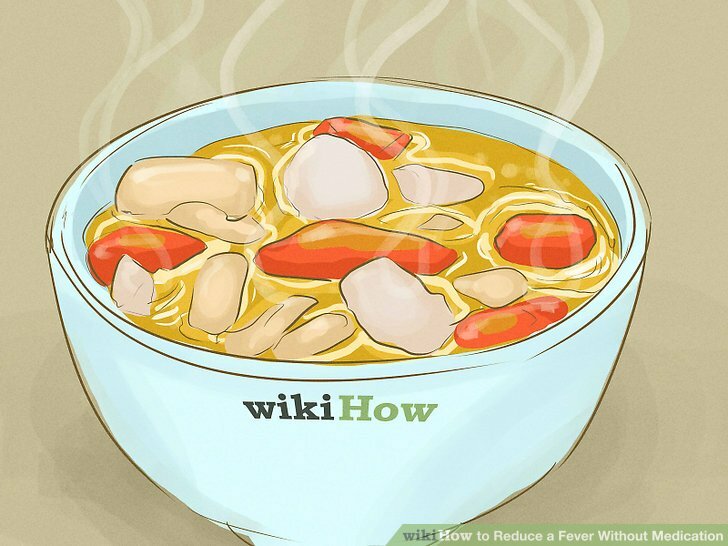 In case of a normal fever tolerance, it is recommended to break the temperature of 38.5 ºC and above. The exception is children with abnormalities of the central nervous system and those prone to febrile seizures: they need to take antipyretics when the temperature rises above 37.5 ºC. Wet rubdowns are the best practice to reduce fever. Other ways to lower fever are more suitable for adults. If you use them, monitor the baby’s reaction. In case of any discomfort or aggravation, immediately stop and give the baby a febrifuge. Give the baby more fluids, it is important to treat a fever. Thanks for posting these remedies for fevers reduction without meds. These remedies can be used for toddlers as well. Not only for babies. When one of my four kids has a fever a cool rub down with water is given. If the fever does not come down after the rub down, enemas are given. Any moms tried the cabbage remedy? Cabbage leaf sounds interesting. Never heard of that remedy. Interesting. What conditions does it cure? Cabbage leaf for fever reducer as well? Growing up my mom gave cool water enemas when I had a fever. I always felt better after getting an enema. The fever went down. Now I give cool water enemas to my three. They work! They are a natural, easy to give home remedy. Sue, the reason there may be no BM after a enema was given is dehydration. If dehydrated, the body may absorb the enema water. I was told to repeat the enema. Give a second enema about half hour to one hour after the first enema was given. The second enema always resulted in BM and water coming back out. I guess have to put the disclaimer on here .... check with your provider (doctor) before giving any home remedies. Even an enema. Check first with doctor. Not giving medical advice. Just saying what works for me and worked before given by my mom.